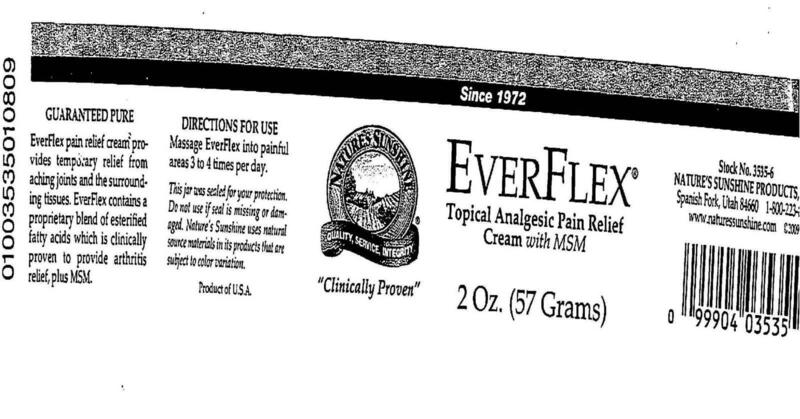 Everflex pain relief cream provides temporary relief from aching joints and the surrounding tissues. 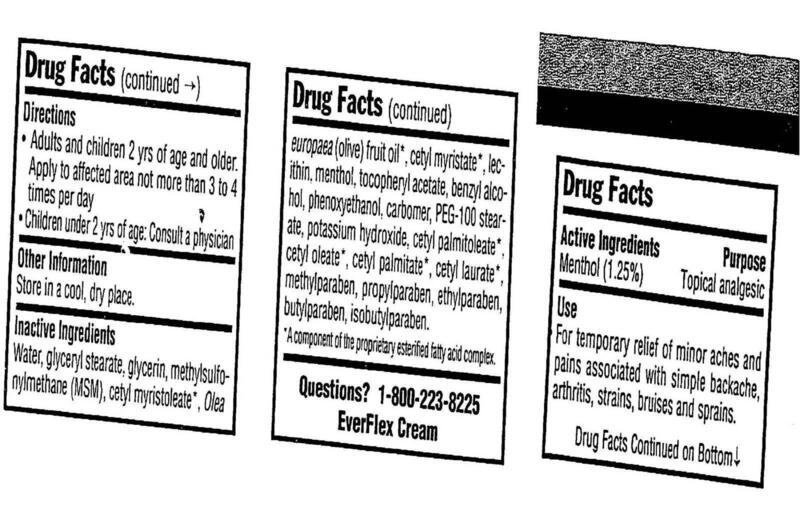 Ever flex contains a proprietary blend of esterified fatty acids which is clinically proven to provide arthritis relief, plus MSM. Directions for use: Massage Everflex into painful areas 3 to 4 times per day. Inactive Ingredients: Water, Glyceryl Stearate, Glycerin, Methylsulfonylmethane (MSM), Cetyl Myristoleate, Olea Europaea (Olive) Fruit Oil, Cetyl Myristate, Lecithin, Menthol, Tocopheryl Acetate, Benzyl Alcohol, Phenoxyethanol, Carbomber, PEG-100 Stearate, Potassium Hydroxide, Cetyl Palmitoleate, Cetyl Oleate, Cetyl Palmitate, Cetyl Laurate, Methylparaben, Propylparaben, Ethylparaben, Butylparaben, Isobutylparaben.